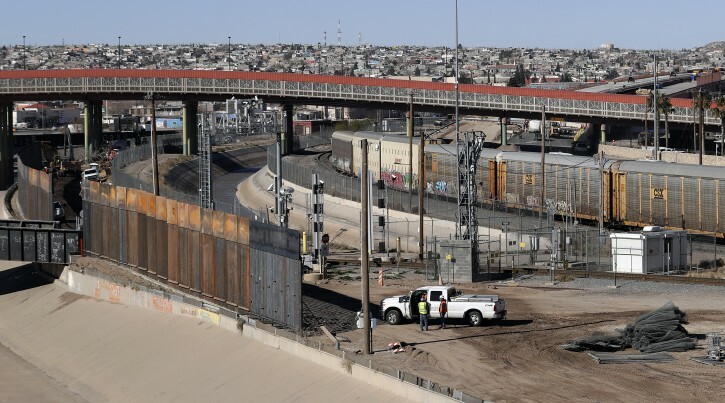 Washington - Congressional negotiators reached agreement to prevent a government shutdown and finance construction of new barriers along the U.S.-Mexico border, overcoming a late-stage hang-up over immigration enforcement issues that had threatened to scuttle the talks. “Jerusalem - El Al Israel Airlines said on Tuesday it was continuing to expand into North America with a nonstop flight during the summer months between Tel Aviv and...” Jerusalem - Israel's El Al To Launch Orlando Route Amid North America Expansion	“New York - A much-hyped network upgrade called "5G" means different things to different people. To industry proponents, it's the next huge innovation in wireless...” New York - AP Explains: What Is "5G" Wireless, And Should You Care? 5 billion would have only been a down payment and start. So we got a bit less. But we got a wall. That's the bottom line. We got this terrible immoral wall! “ 5 billion would have only been a down payment and start. So we got a bit less. But we got a wall. That's the bottom line. We got this terrible immoral wall! The wall isn’t immoral. You’re immoral and a fool. Yeah, & Mexico paid for it, what else is news? I doubt hannity, Dobbs, rush and coulter agree with you. Good post and wow! no spelling mistakes. Except for the word principal - principle is what you’re looking for. Build it and they won't come. It isn't much of a downpayment, but how much more can we expect from a country as poor as Mexico? Most likely if you told the people who think USA is a good mark for taking care of them from head to toe, THERE IS NO FREE LUNCH, maybe they would not come. If they realize when they are here and we ask what are you going to do for us rather than what we can do for you, maybe, maybe they will have a second thought. Sorry, No Wall at all. Its a fence, 20% less than he was offered in Dec. He closed down the Govt. and got less not more. Good job by Pelosi. The border is 3200 miles. In 2 years he got 55 miles or 1.8% worth of FENCE. A (Mechitze) Not a Wall. Art of the Deal. Best negotiator ever. Pelosi/Schumer caved and you are a very stable genious. To all the haters what do you have to say now? I love how toothless Beto was standing last night in front of a BOARDER WALL. Dems are a joke. But Nancy Pelosi said it IS immoral...well actually she only says that about the wall Trump wants to build, but she’s fine with all the other ones! He was going to get 1.6 billion for border security and zero for a wall or fence. Thank you president Trump the market loves it. Your approval ratings are higher than Pelosi, Schumer and the rest of congress. Keep up the good work. “ He was going to get 1.6 billion for border security and zero for a wall or fence. Correct. 1.4 for a fence he could have gotten without the shutdown. A fence is Border Security.